Everywhere you go here you see little black and while QR Codes. On signs and posters, in magazines, on T-shirts, on badges . . . What are those things? Well, a QR Code -- a small, square, black-and-white dot pattern -- is printed on the SXSW badge that I wear everywhere here. When you aim your smartphone camera at that pattern on my badge, you will go to a location on the SXSW site where you can see various information about me, like who I am, who I work for, and what I look like. If I choose, I can put a lot more information at that URL, like a link to my Twitter feed or my profile on Facebook. 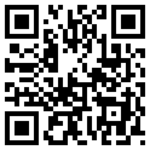 Other QR Codes contain links to different information and media, like Web video and music. The codes were originally used to keep track of inventory in factories, but they've found a whole new application in the smartphone age. 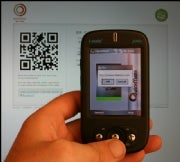 QMCodes is the Australian company SXSW invited to put the QR Codes on the badges and associate them with the data. QMCodes says it's been putting QR Codes on flyers, magazine ads, newspapers -- anything where a link to information in the virtual world would quickly assist consumers. For instance, a poster for a band could provide a QR Code that prompts an iPhone to play a sample sound or video file. loading the Web pages of various interesting companies, bookmarking them, then coming back to them later. I wouldn't have to collect any paper marketing material on my route. All would be digital. The QR Codes are just a simple bridge from the Internet to the "Outernet," a concept that seems to be on many people's minds here. They allow you to get Internet content about something that you are close to or looking at in the real world. Blogger Robert Scoble is walking around wearing a QR Code on a T-shirt, which links directly to his Twitter feed from SXSW. If the people I'm talking to here are correct, QR Codes -- or something like them -- might start showing up everywhere. Especially as mobile networks get faster and mobile devices get easier to use (think iPad). Stop me if you've heard this one before, but QR Codes are already quite common in Japan. I can imagine a roomful of people wearing their QR Code T-shirts pointing their devices at each other, deciding who they want to meet, in a sort of augmented speed-dating ritual. And don't be surprised if you start seeing QR Codes as standard on business cards everywhere.